NECA once again had a great showing at NY Toy Fair, giving us a look at a lot of upcoming products. 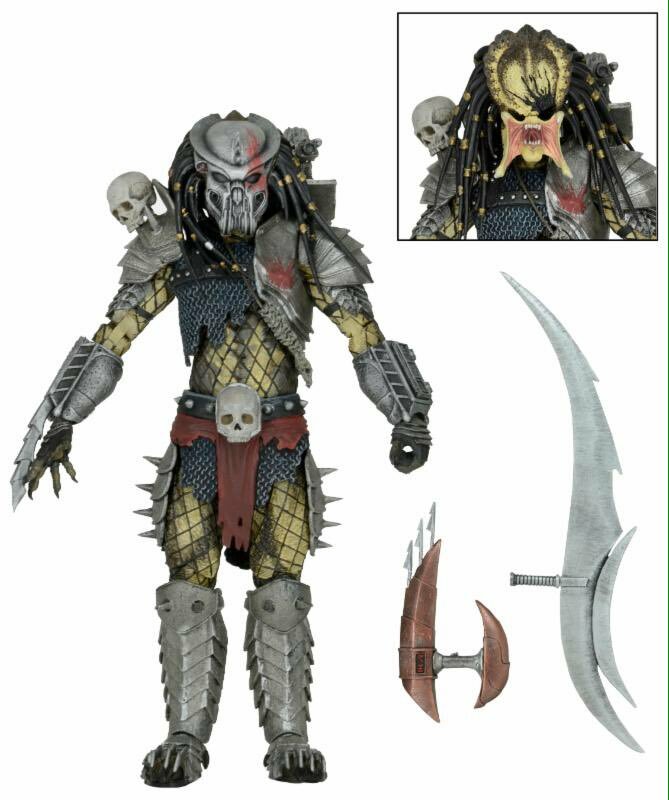 NECA is good with showing us new products throughout the year, so I'm sure that this is all just a small sampling of what we have to look forward from them in 2016. Fist up is a few new 1/4 scale figures. It looks like NECA is doing TMNT once again. 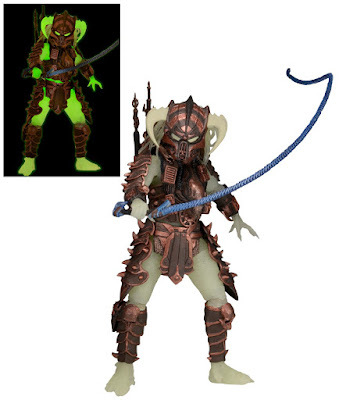 Their original comic book styled 5" figures are far and away the best Turtle figures out there, in my opinion, and they still sit on my shelf as my default Turtle set. 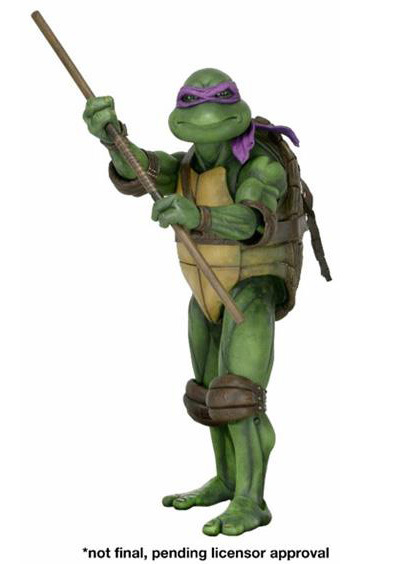 Donatello is up first, with the others to follow shortly, I'm sure. Next up is a much wanted 1/4 figure-- an Alien Warrior (Xenomorph) from Aliens. It's about time that they got around to this one! 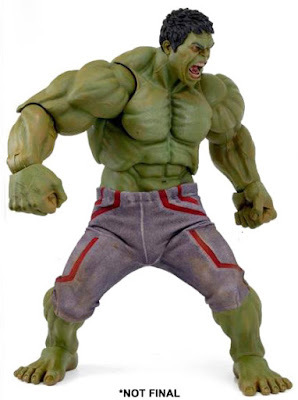 The Hulk will be the next addition to the 1/4 Avengers line-up. 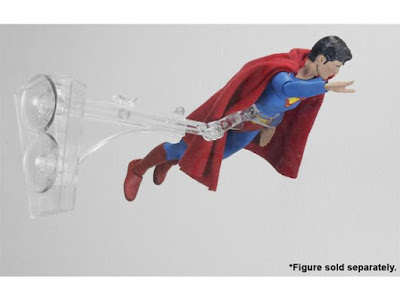 This figure is going to be massive, and so is the price. The final 1/4 shown is Harley Quinn from the Batman: Arkham City video game. 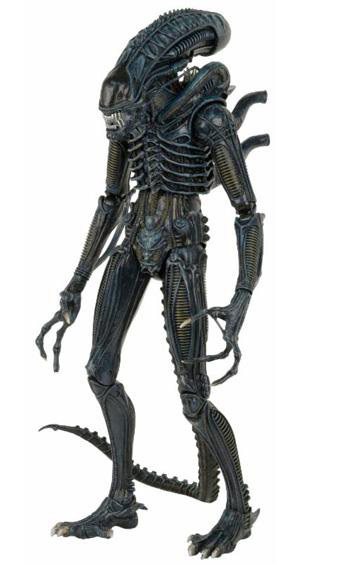 Moving over to the 6" - 7" scale, the next wave of Aliens figures were revealed, and this time it's from the much maligned Alien 3. This wave will include Ripley, the "Dog Alien" (in both grey and brown) and a Weyland Yutani Commando. 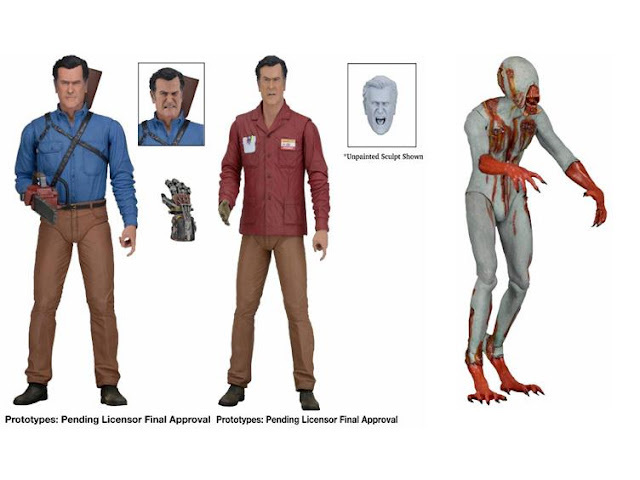 NECA is also returning to another old favorite for the company-- Evil Dead. This time around, they'll be focusing on the new Ash vs Evil Dead TV series. 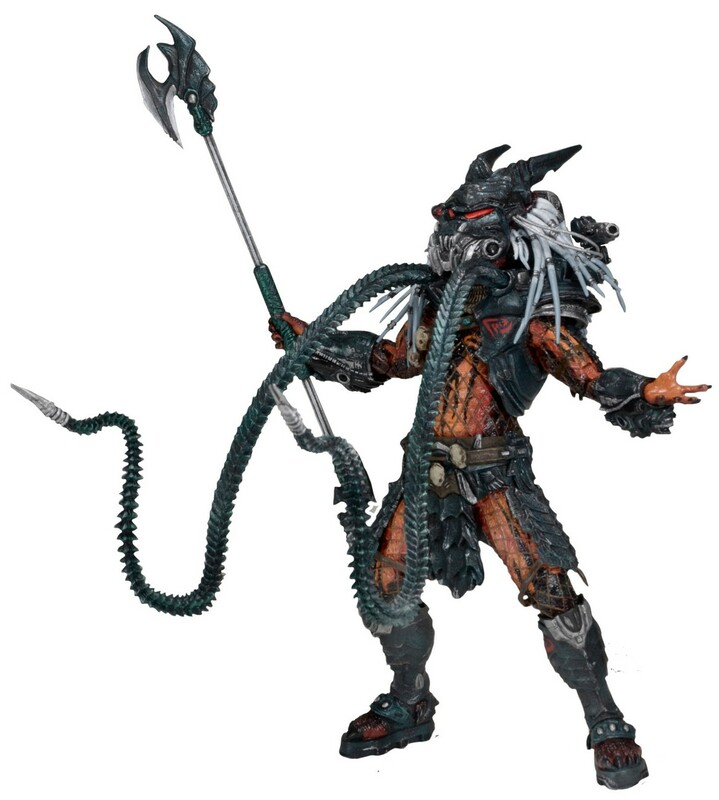 This first wave will include Hero Ash, Value Stop Ash and Eligos. Keeping with the horror theme, there will be a new "ultimate" version of Jason heading our way. 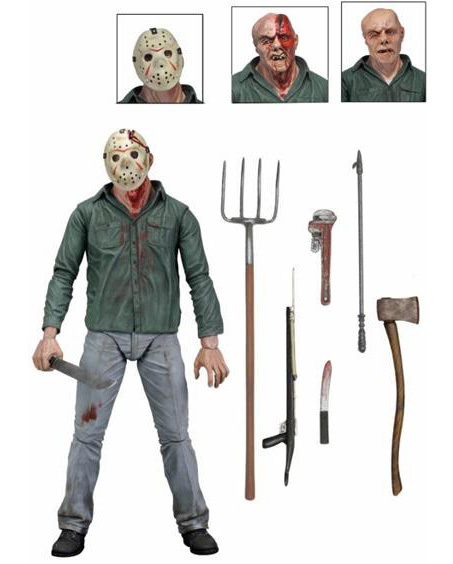 This time from Friday the 13th Part 3. 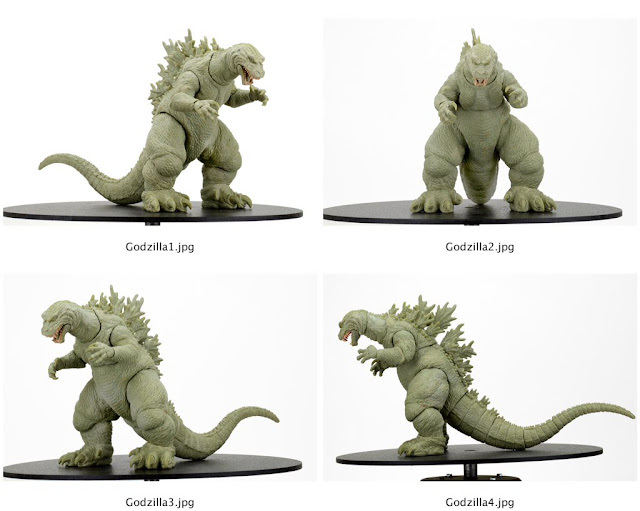 After a long silence on the line, Godzilla will be returning to store shelves again this year. This newest version will be from the Godzilla vs King Ghidorah film. 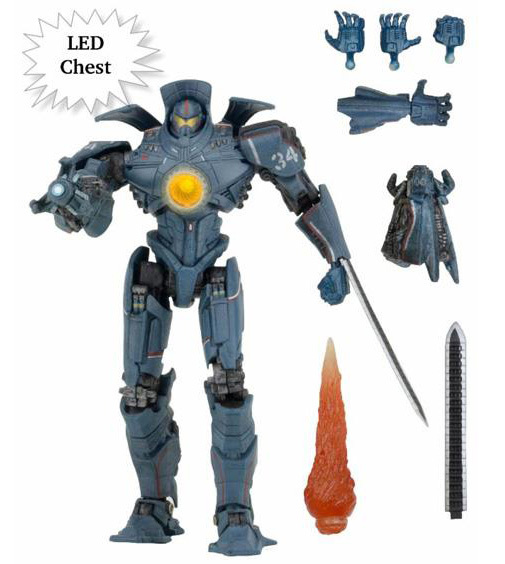 There will also be a few Pacific Rim offerings coming in 2016. 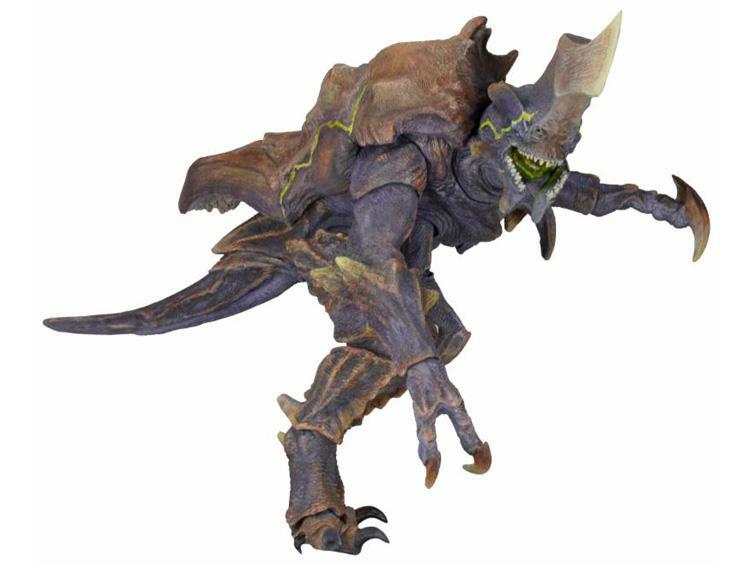 Along with the Hardship "ultra deluxe" Kaiju there will also be yet another version of Gypsy Danger headed our way. 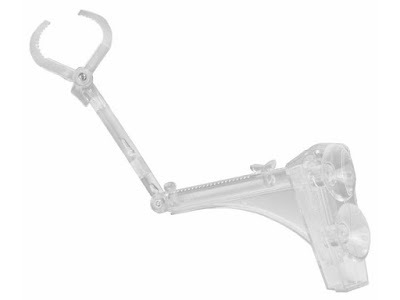 This is just another upgrade from what we thought was the best Gypsy we could get. 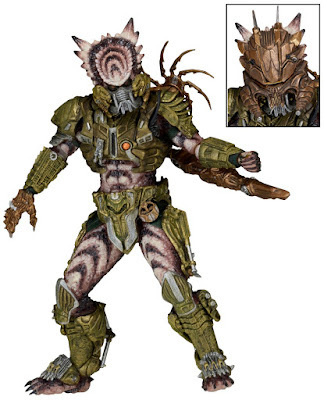 This one is the "ultimate" version (like the recent Striker Eureka figure) and includes a lot of other accessories and options from previous Gypsys, except all in one this time out. He'll also include a LED light in his chest, which means, even though I already have about five Gypsy Danger figures, I'll have to get this one as well. 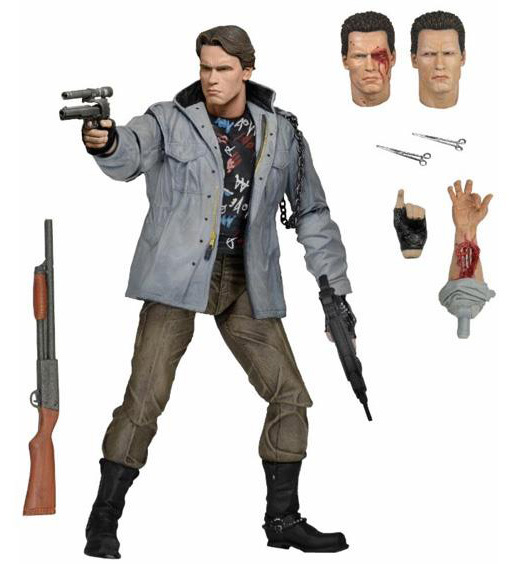 NECA is also continuing with the Terminator license giving us the "ultimate" version of Arnie's T-800 from the first film. I imagine that we'll also be seeing an "ultimate" version of the T-800 in his more iconic outfit from the second half of the film, as well. 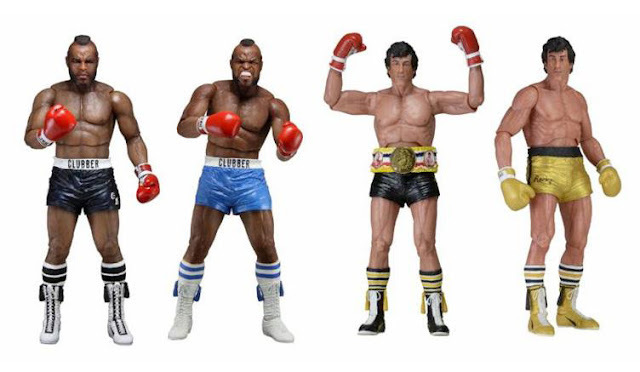 Rocky is also making a return to toy shelves this year with the 40th Anniversary of the film. This new wave will focus on Rocky III and features Rocky Balboa and Mr T as Clubber Lang. 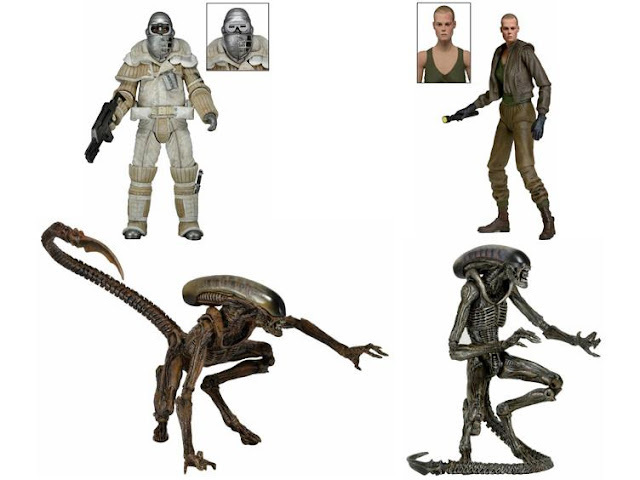 NECA has released these figures already a few years back. 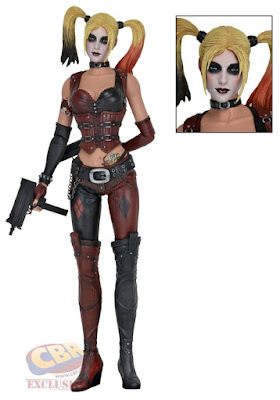 I can't tell for sure if there's anything new about these "new" figures other than maybe Rocky's belt. Of course the staple of NECA's action figure line up once again returns with some new Predator figures. Series 16 will consist of 2 new Kenner-styled figures-- the Spiked-Tail Predator and Stalker Predator (which glows in the dark!) -- along with the "Ghost Predator". Not sure where he's from. Perhaps he's just a new NECA creation. These will be released in June for $21.99 each. 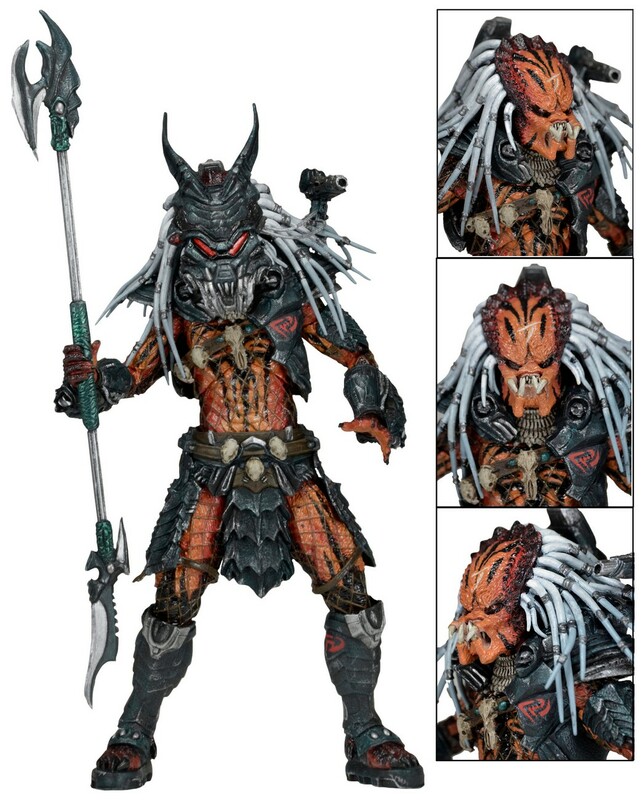 The much-anticipated Predator Clan Leader will also finally be coming our way this year, and the figure looks absolutely amazing! 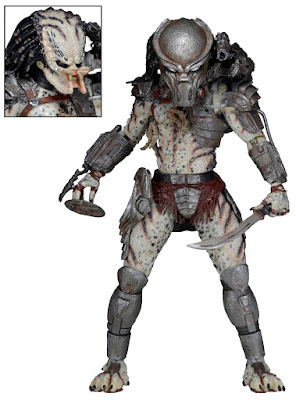 And one final Predator was revealed-- "Scarface" who is apparently from a video game, although I don't know which one. Wrapping things up for NECA is this cool new action figure stand. 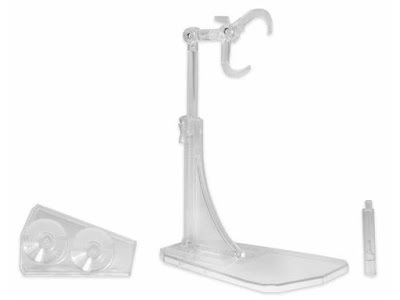 I usually use the SH Figuarts for my figures if they have trouble standing on their own or need to be in a flight pose, but I'm pretty curious about these new NECA stands, so I'll definitely have to grab one or two and see if I like them. 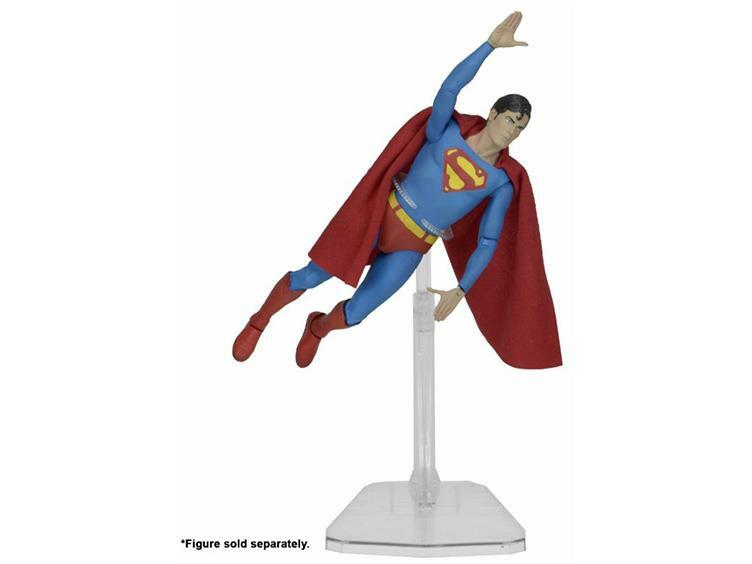 These should be out in may for $9.99 each. As you can see from the release dates, there's a LOT coming in June/July. 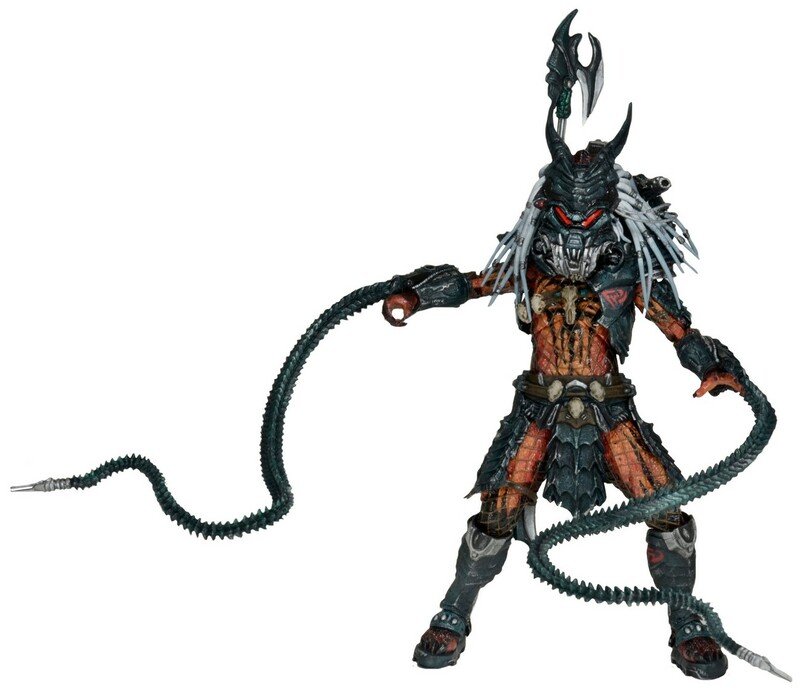 NECA doesn't usually release this much stuff in such a short period of time, so take these release dates with a grain of salt. I expect to see a lot of them pushed back a month-- or even months-- and perhaps a few bumped up.